2Add the chili powder, while stirring, then add the curry powder/paste and ½ cup water and cook on low heat, stirring frequently. 3When this curry paste starts bubbling, add the chicken pieces and toss until all chicken pieces are well coated. 4Add salt, pepper cardamoms, thin coconut cream/milk and the remaining water and cook on low heat, stirring occasionally. 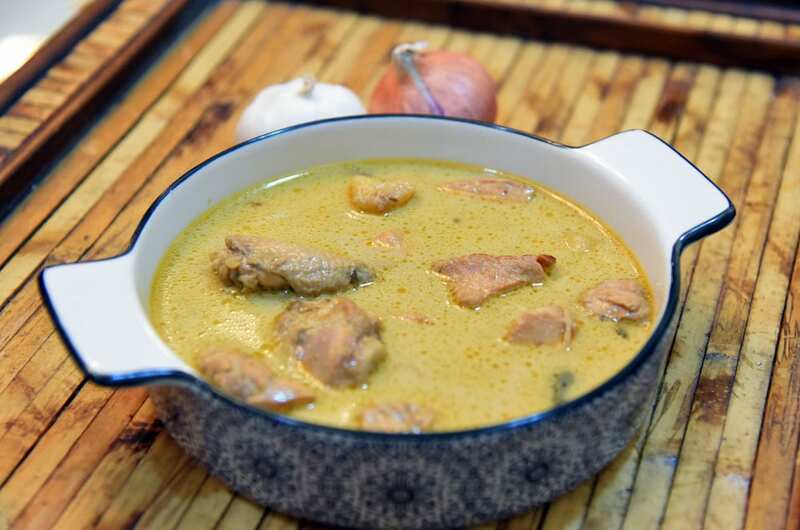 5When the chicken is cooked, add the thick coconut cream/milk and simmer for about a minute. Hi , what is chicken curry powder/ paste? Can this be preapared at home and stored.